Disciplines Involved: Survey, Architectural Engineering, Site Design & Engineering plus Subdivision/Land Development Plan processing and approval. 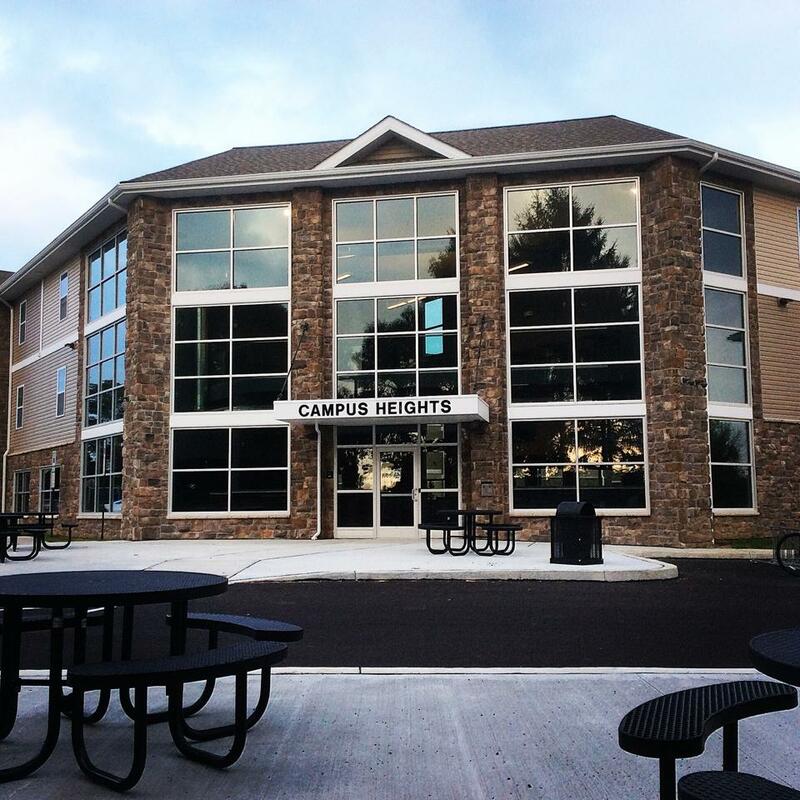 Based on the success experienced by KGH Properties in the First Phase of Campus Heights Village, a second phase was developed to include an additional single building (consisting of connected building pods to avoid setbacks) with a total of 46 units each with 4 bedrooms in order to provide housing for 184 college students. The project involved acquisition of 12 separate existing residential properties adjacent to Phase I and the extinguishment/relocation of existing Township roads within the project area. C2C Design Group assisted our client through the acquisition process by providing multiple conceptual layout plans throughout the negotiation process with surround property owners. Working closely with our client, local officials, county and state agencies, our group was able to gain approvals for the project in just 2 months to allow our client to begin construction and open in time for the fall semester. Similar to Phase I, our survey group provided base plan preparation and construction phase stakeout services. Our site design group services included: re-zoning and land development approval assistance through preparation of site layout, grading, utility, stormwater management, and erosion and sediment control plans. Additional agency approvals included Dauphin County Conservation District and PaDEP approval of a National Pollution Discharge Elimination System (NPDES) permit. Our Architectural Engineering staff worked with the client on modifications to the original building plans to accommodate tract restrictions and improve upon the amenities for the tenants of the Village. Building highlights included modification of the previous separate building design into a single building with a 3-story atrium and main entrance space that created a student lounge area.